A quick view of the most influential metrics in Hewlett. Hewlett, New York is a small village, which is located in the south shore area of Nassau County in the town of Hempstead. It is a single neighborhood and is the 247th largest community in the state. It is a solid, stable community with high rates of home-ownership. It is primarily residential and largely filled with traditional single family homes. With low crime rates, good schools and peaceful streets it is quite family-friendly. It is less urbanized than the majority of the south shore area and has a cozy atmosphere of rural affluence English remains the primary language in the community, but many residents speak other languages like Hebrew, Russian, and others. The community takes its name in honor of John Hewlett and the whole Hewlett family who farmed the land early in its history. The area remained largely rural agricultural until the 1900s. It was not until 1914 that Joseph Auerbach bought much of the land that is now Hewlett. Auerbach built a summer residence and then built a country club known as Sewanee Club. Auerbach then sold the club and two square miles of surrounding land. The new owners broke up much of the land into single family residential lots. The community was incorporated in 1925. Then and now the community is strictly zoned for residential use aside from the country club. The village spans .8 square miles. It is a white-collar community where almost 91% of the workforce hold white-collar positions. Many workers are employed outside Hewlett as it is almost strictly a residential community. Average commute times for residents is approximately 34 minutes. Thankfully, public transportation is available and commuter trains are the most popular option. In 2000, the population was 1,271 and the population density was 1,754.3 people per square mile. In the same year, the median household income was $159,682, the median family income was $185,962 and the per capita income was $82,069. By 2010, the population was 1,263. In 2013, the estimated median household income was $189,140 and the per capita income was $79,679. In the same year, the mean price on all housing units reached an estimated over $1,000,000 and the median gross rent was $1,987. Public education in Hewlett is provided by both by the Hewlett-Woodmere School District and the Lynbrook Union Free School District. Area schools include George H. Hewlett High School, Woodmere Middle School, Hewlett Elementary and others. Hewlett is a thriving and beautiful bedroom community with a rich history. Whether you want a brand new home or something more historic, Hewlett has what you seek. Begin your home search today, call local real estate agent Edward McNulty at (516) 887-3603 and find the home of your dreams. View our selection of available properties in the Hewlett area. 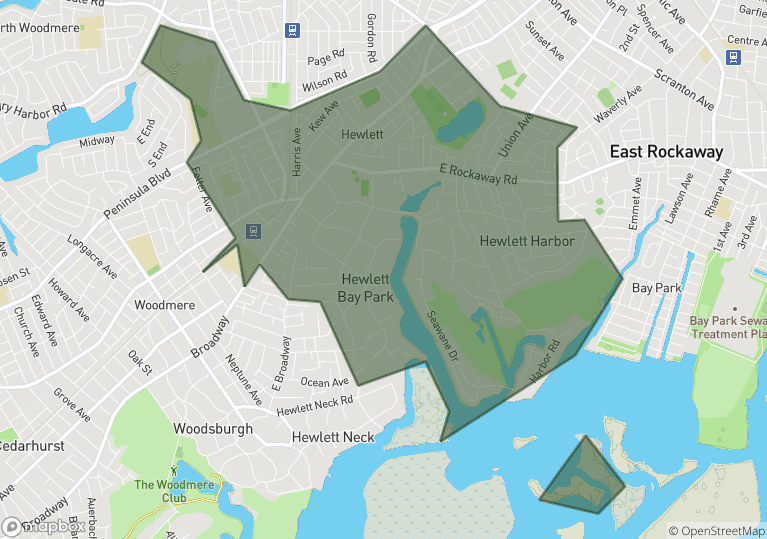 Check out the latest demographic information available for Hewlett. Learn more about schools near Hewlett complete with ratings and contact information. Browse through the top rated businesses in the most popular categories Hewlett has to offer.